Steering away from the booze and fizzy drinks can be hard, especially when water can be so boring. Spice up your fluid intake with some of our favourite at home beverages. Below is a selection of waters, shakes & shots – all great for your health and taste pretty damn good too. You can buy this pre-made or if you’re feeling boujee then create yourself. Simply use the fresh coconut water in a coconut, dice up chunks of fresh of coconut and add with ice. Go from a rainy day to a sunny day in the Caribbean in one swig. The perfect way to give your water some life & use up any leftover fruit. 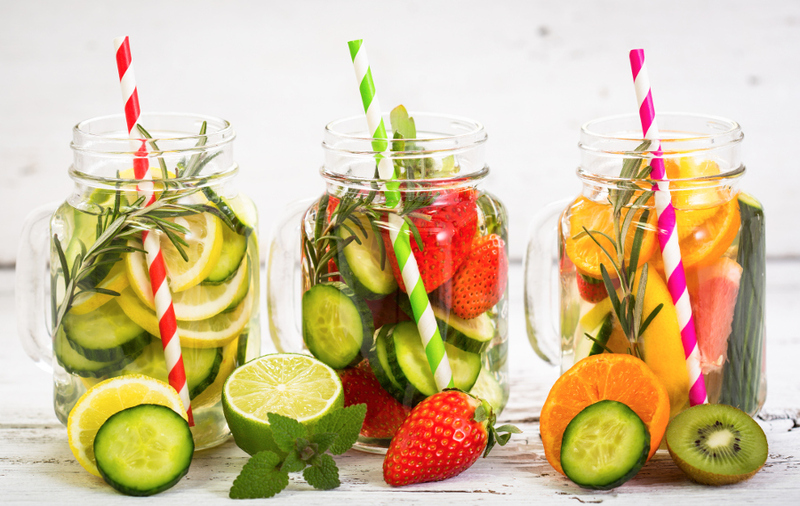 We legit love any fruit in our waters, however, a particular favourite has got to be Strawberries, Cucumber, Lemon & mint. Summer in a sip. The perfect concoction for anyone wanting a quick fix of all things green & health. 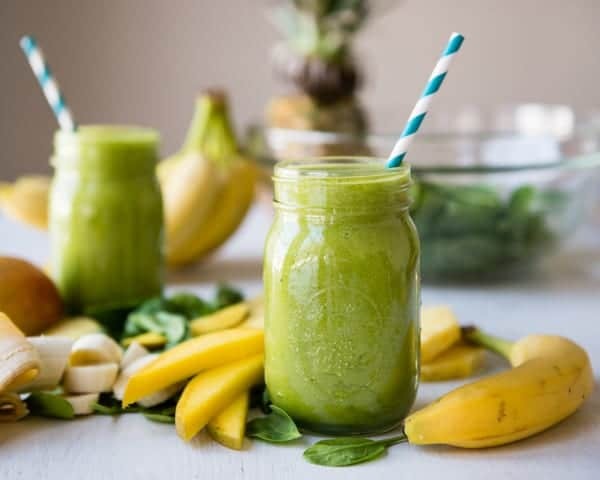 Our favourite superfood smoothies consists of: 1x Banana, 2 cups of Spinach, Ice, 1 cup of Pineapple, 1 squeezed lime & 1/2 cup of fresh orange. The perfect pick me up. Add some colour & definitely some sweetness into your life with this super PLT smoothie. 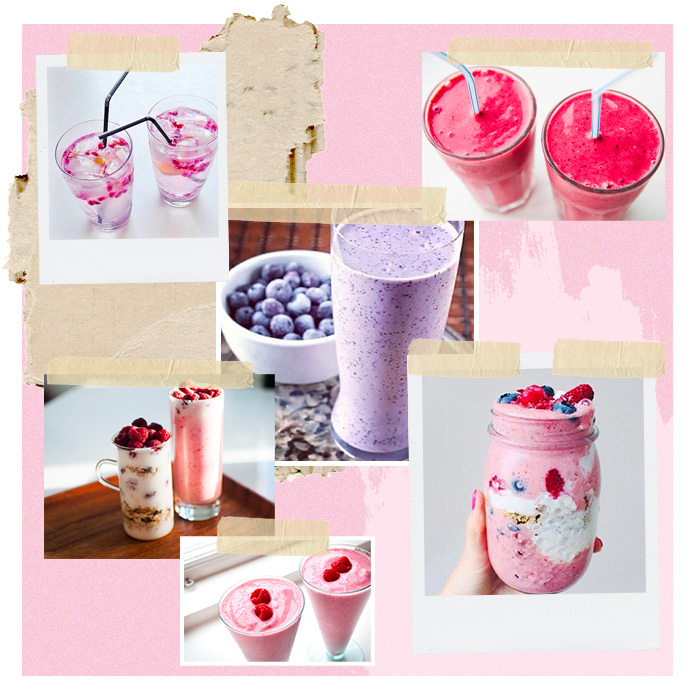 Our favourite fruity smoothie consists of 1/2 cup of Almond Milk, 1 cup of Raspberries, 1 x Banana, Ice & 1 cup of mixed berries. Do the right kinda shots, and start with this throat warming ginger shot. To create a ginger shot, simply add the following to a blender: 1 large piece of ginger, squeeze of 1/2 a lemon & 1/2 an apple. Once blitzed, strain the mixture so only the juice is remaining.